Concord's Food, Farm, and Garden Fair - This Upcoming Weekend! August has ended, and summer is on the wane, but the weather doesn’t seem to agree. The heat continues this week and so does our challenging summer. The field crew has been putting in an enormous effort this year in this unrelenting humidity, and they continue to work in overdrive – our endless thanks for their continued good attitudes! Our crop variety and abundance are on the increase. Summer crops like tomatoes and peppers are still coming on strong, with the late summer/early fall veggies like winter squash, potatoes, turnips, and winter radishes beginning to make appearances. Sadly, it doesn’t look like much of an apple crop this year – the nature of our every-other-year orchard combined with the humidly has resulted in a rather poor showing. On the plus side – we are potentially looking at a bumper crop of sweet potatoes! Those heat loving southerners have enjoyed this hot summer. 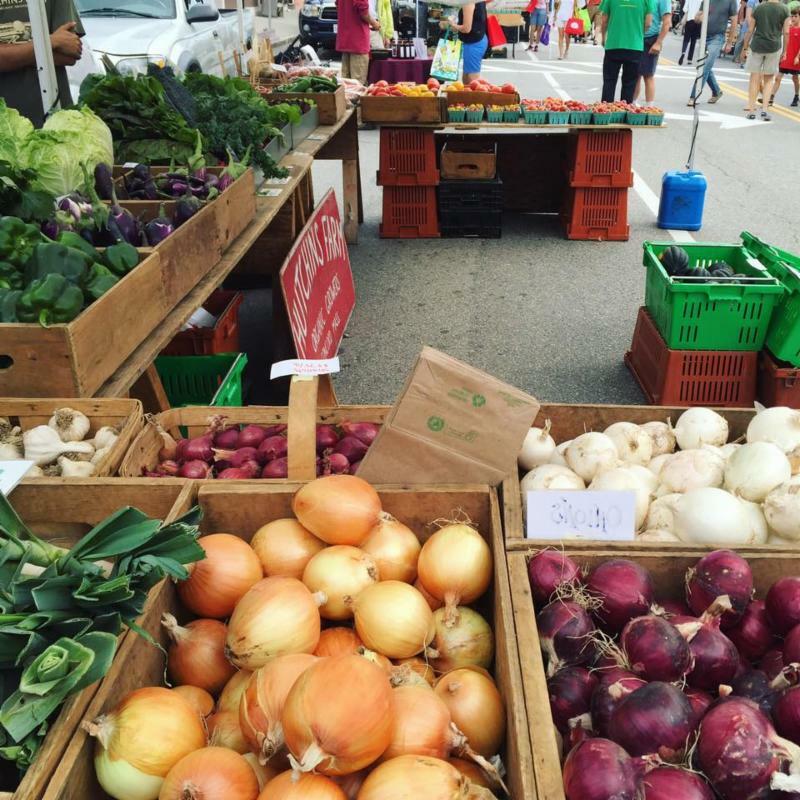 Just a reminder that this upcoming weekend, September 8th and 9th, is the annual Concord Food, Farm and Garden Fair, which begins on Saturday with the 13th annual ‘Ag’ Day Market in downtown Concord. Hutchins Farm will be represented, along with about ten additional Concord farms and a variety of local organizations that promote agriculture. Ag Day will run from 10 AM to 2 PM right on Main St., which will be closed from the roundabout to Walden St. Come on down and see the bounty Concord has to offer! Because of the Ag Day Market, this week we will not be attending our usual Saturday market at Union Square, Somerville. Our apologies to our Somerville customers! We will be back next week (September 15th). The Farm and Garden Fair continues with garden tours on Saturday afternoon – get information online at https://www.ccfoodcollaborative.org/ or at the Garden Club table at Ag Day. Then on Sunday, a number of Concord farms will be hosting farm tours - a tour of Hutchins Farm led by our farm manager Brian Cramer will begin at 1 PM Sunday September 9th. No signups are necessary, just show up at the farm stand before the tour begins. Tours require walking on rough (muddy/dusty) farm roads and may include encounters with unfriendly weeds and stinging insects – good footwear is suggested, and folks with allergies to bees or wasps should take appropriate precautions. As always please check our website for crop updates, and we hope to see you at the stand or markets this fall!